Enjoy our ‘ono HASHTAG SKILLET for only $9.99 this Tuesday! Serving breakfast DAILY 8AM-11AM at all Ruby Tuesday Hawaii locations – check out our menu online here. 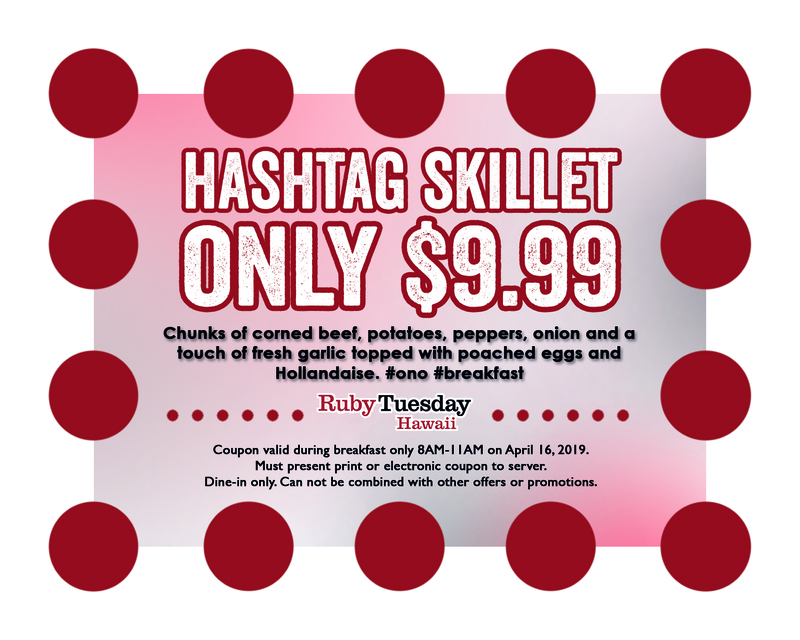 Valid this Tuesday (4/16/19) at any Ruby Tuesday Hawaii location.